Located in the Hollywood section of Universal Studios Florida, at the Hollywood Boulevard, is Cyberdyne System's office in Orlando. Cyberdyne security guards watch the entrance and check visitors. Step by step, this building was upgraded and during the years many additions and alterations were made. The next image shows the building without its Cyberdyne logo or the T23D logo pilar in front of the entrance. Later on, the Cyberdyne Systems logo was added. This logo has a blue luminance when the sky turns dark. After the addition of the Cyberdyne Systems logo, the T23D logo was added on a pilar in front of the entrance. Notice the Panasonic sponsorship. A 'next show timer' above the entrance was the next addition. The T23D logo on the pilar changed into a purple version. Notice the Panasonic logo is gone now. 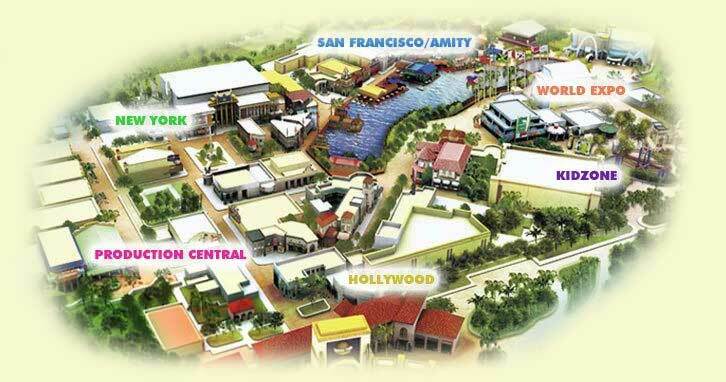 Matsushita (owner of Panasonic) used to own Universal Studios in the mid to late 90's. During this period, Panasonic had a huge influence in both parks, both as a corporate sponsor and as a source for audio and video equipment. Almost all Universal attractions in both Florida and Hollywood featured only Panasonic branded televisions and speakers (under the name of RAMSA). Universal would proudly display the Panasonic brand name all over the parks whereas most parks would place some sort of barrier to block the manufacturer's logo. However in 1999, Matsushita sold its share of Universal to Seagram. From then on, Matsushita's presence in the park would slowly diminish. Only traces of that period in the park remain. (There's still a Panasonic sign located under the exit of Terminator 2: 3D in Hollywood). And finally, some random photos of the building. Satellite overview, scenes at night, photos of the Cyberdyne Systems security, etc.